A welcome call from an AALL Executive Board member. We encourage you to use this opportunity to learn more about how AALL can benefit you and your career. A 6-month survey to make sure we are serving your needs as a new member. 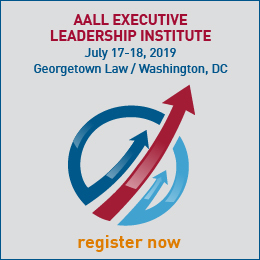 EXPLORE Log into the website to learn more about all that AALL offers including members-only content. If you need assistance with your username or password, contact our AALL Membership Services at 312.205.8022 or by email. SHARE Complete your member profiles for www.aallnet.org and My Communities (My Communities hint: import your LinkedIn profile). It’s a great way to let others learn more about you and ensure that you are getting the AALL communications you desire. CONNECT AALL’s My Communities is our members-only social network that offers insights only your peers can provide. Here you can connect with other members, join discussions, discover, share, and collaborate. 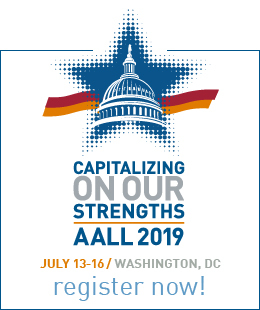 PARTICIPATE Whether you are seeking to find peers who work in your specific discipline, attend an educational program, advocate, or volunteer, AALL offers many ways for you to get involved. ADVANCE AALL is your advantage; we offer many ways for you to not only stay ahead of the game but get to the next level with in-person and online educational programs, publications, the AALL Career Center, scholarship and grant opportunities, as well as many other excellent resources.